I mean that's worst case - I think they'll have issues determining the extent of any nerve damage because of all his other injuries. Ant Davidson broke his back in a similar place (T11 & T12) at Le Mans and was back racing within 3 months. 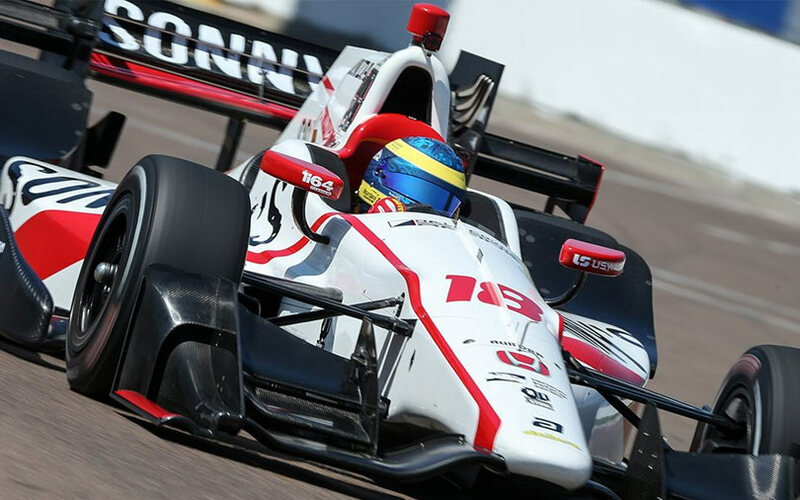 Bourdais was racing before the end of the season after breaking his pelvis at Indy. Racing drivers seem incredibly resilient to what would be worse injuries for normal people. Paraplegia isn't a death sentence - a significant life changing event certainly - but not a death sentence. Depending where the break is he could pull a Zanardi and compete in disability sports, assuming his diaphragm and torso function is unaffected. I didn't mean to suggest that it is a death sentence. Many people continue to have very fulfilled lives. But some take being severely disabled very badly and it breaks them. I would guess the inherent competitive and arrogant nature of a racing driver tends to make them fight and "prove their worth" (horrible phrase but can't think of a better one at the moment). They are nature's go-getters. Me? I think I'd find such an injury very difficult to live with. I think the thing we can agree on is that it was very violent with some hellish G and centrifugal forces,and that we hope for the very best for him and his family. If that is the prognosis, how will this affect the sport moving forward? Hunter-Ray's situation calls for a halo type device. But Wicken's situation calls for changes to the tracks (barriers) or the cars (nose height, wheel covers, go kart type side bumpers). Or not, and these results are accepted as part of the risk of the event. With the ability to make strong, lightweight bodywork available today, is there any place for open wheel racing in the world anymore? The weight of fenders can be offset by redesigning other parts of the car, and of course the aero performance can only improve with such devices. To me it seems like a choice between nostalgia and improving performance & safety. It's difficult to say what they can do about the ovals. I don't think cars getting up into the catch fencing is limited to open wheelers. I'm not sure replacing the catch fencing with plexiglass is the solution - I think it works well on point loads, but a race car travelling at 220+ mi/hr is another matter. I've often thought a parabolic outer wall might help contain debris, but when the car goes over the wall it's generally because it's been launched, so I doubt that's a useful solution. Certainly short term it sound like they'll be doubling the height of the tec-pro barriers. I've been waiting on updates on Wickens, it seems the spinal chord injury is still indeterminate, looking at the list of injuries he sustained that's not a surprise. Back AND neck fractures isn't a shock from the images of the crash. Tib and fib in both legs is really bad if it was caused by a loose fire extinguisher, probably the reason the spinal chord can't be properly assessed... in fact any single one of these injuries would be horrific on their own. That's really bad. I'm sure there are many variables, but what are the odds of recovering from a spinal cord injury? Or just minimise the number of meetings on high-speed superways as they are inherently dangerous. "People understand about laying it all on the line for the Indy 500 and everything that comes with it. "But racing in front of 12,000 people at 220mph at some of these other tracks, it's fair to ask what we're doing, why we're doing it." This does not necessarily mean he will never regain function of his legs - T4 means he is currently paralysed from the chest down. The fact the chord wasn't severed means there is hope for him that the nerves will recover, hopefully that's not a false hope, but nerves recover quite slowly in my experience. His career might lift up in the States. Who knows he might even win Indy 500 before Alonso does.